If targeting of Drug Trafficking Organization (DTO) leaders in Mexico has contributed to high levels of violence, as I argue in a working paper, then why hasn’t the Mexican government stopped the policy? Under former president Felipe Calderon there were a number of possible answers, included the fact that his get-tough policy toward crime was a major part of his campaign strategy in 2006. But that does not explain why the policy has persisted under the new president. When Enrique Pena Nieto won the 2012 election he promised that his crime fighting policy would aim to “reduce violence and above all protect the lives of all Mexicans.” The new administration acknowledges that leadership targeting led to increased violence, and a number of experts seem to agree. So why hasn’t the policy been changed? On Monday, Interior Minister Miguel Angel Osorio Chong said the strategy caused a fragmentation of criminal groups that had made them “more violent and much more dangerous,” as they branched out into homicide, extortion, robbery and kidnapping. But just because the strategy has taken some hits doesn’t mean it’s dead. And Peña Nieto, who took office Dec. 1, is unlikely to kill it…. Peña Nieto is also unlikely to jeopardize the generous security assistance provided by the United States, which helped design the kingpin strategy. The U.S. is intimately involved in carrying it out, providing intelligence on drug leaders’ whereabouts and spending millions to strengthen the Mexican security forces who act on that intelligence. All of which probably explains why, shortly after the ministers’ criticism of kingpin, a top presidential advisor told The Times that the new government had no plans to abandon it. “That will not stop at all,” said the advisor, who declined to be identified because he was not authorized to speak on the record. 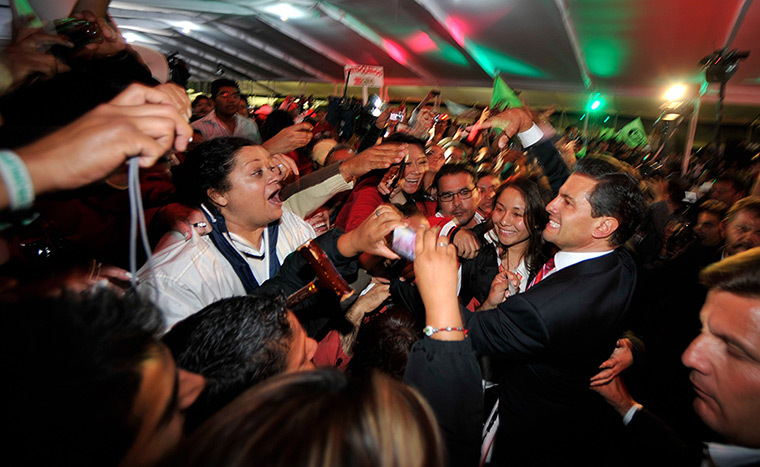 One can appreciate the rock and hard place between which Pena Nieto finds himself. His party has been criticized for being in the pocket of the cartels, so he cannot afford to look weak. There are also the entrenched interests of the military and police to keep in mind–they have no interest in giving up power. Unfortunately for the tens of thousands of Mexicans who have lost their lives or loved ones to violence over the last seven years, their voice in the government has not kept his word. I have to admit an ulterior motive behind Friday’s post. We discussed the Alchian-Allen theorem, which states that adding a fixed cost (usually but not necessarily for transportation) to the price of a good leads consumers to purchase more of the high quality good relative to the lower quality one. Although I hope that discussion was interesting enough in its own right it also serves as background for today. This post discusses the role of postbellum US internal revenue system, whose liquor tax collection efforts in the Mountain South constitute a slow but eventually successful state-building effort. We have talked about state building before, and this post continues in that vein. The post-Civil War Mountain South was an extraordinarily difficult-to-govern region, both because of its geography and its population’s unwillingness to cooperate with the central government. (Regular readers will recall that these two characteristics are often correlated.) Our discussion will largely be based on the paper, “The Revenue: Federal Law Enforcement in the Mountain South, 1870-1900” by Wilbur R. Miller (1989, JSTOR). Here’s the connection with the Alchian-Allen theorem. Corn is a commodity, and the quality difference between any two cobs is negligible. However, distilling whiskey from corn both raises its value and makes it easier to transport. According to research from Cornell’s David Pimentel, “An acre of U.S. corn yields about 7,110 pounds of corn for processing into 328 gallons of ethanol.” That’s about 26.1 pounds of corn per gallon of pure alcohol. Even if moonshine were only 100-proof (i.e. half alcohol), you have reduced the weight to be transported from 13 pounds of corn to around 8 pounds for a gallon of “mountain dew”–nearly a 40 percent reduction! Making higher proof could result in an over 60 percent weight reduction, drastically reducing transportation costs for Appalachian farmers. This also explains why bootleggers would try to achieve high alcohol contents for distribution and expect consumers to dilute the brew after it had been transported–it makes no sense to pay for shipping water content or other dilutions. When Congress raised the whiskey tax to $1.10 (up from 90 cents) in response to the income tax decision, receipts immediately dropped and took five years to recover to their 1893 level. At the turn of the century states began to enact prohibition laws and made revenue collection and enforcement more difficult. Every “moonshine state” except Kentucky and Missouri was dry by 1916. 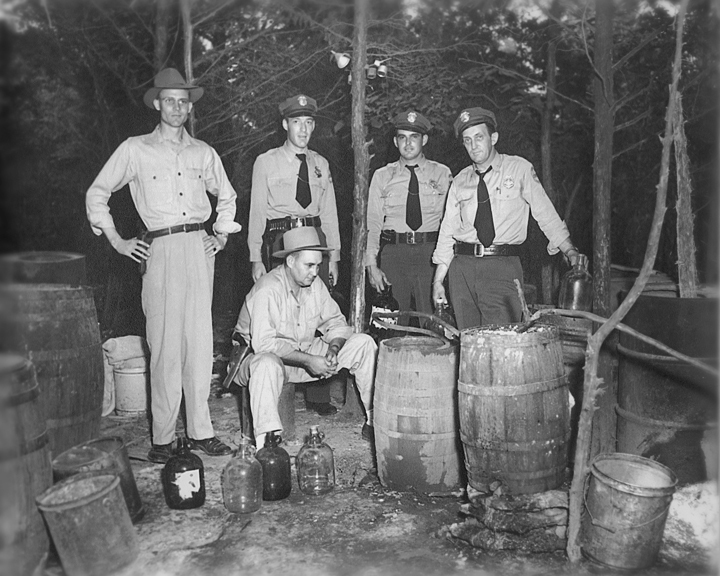 Of course, this did not eliminate the moonshine business–it just made it that much more profitable. For more on the topic of taxes, government control, and conflict, check out this working paper abstract from Anna Schultz, Nils Metternich, and Michael D. Ward (friends and colleagues, all). To follow up on the Alchian-Allen theorem and prohibition of various types see this post by azmytheconomics. 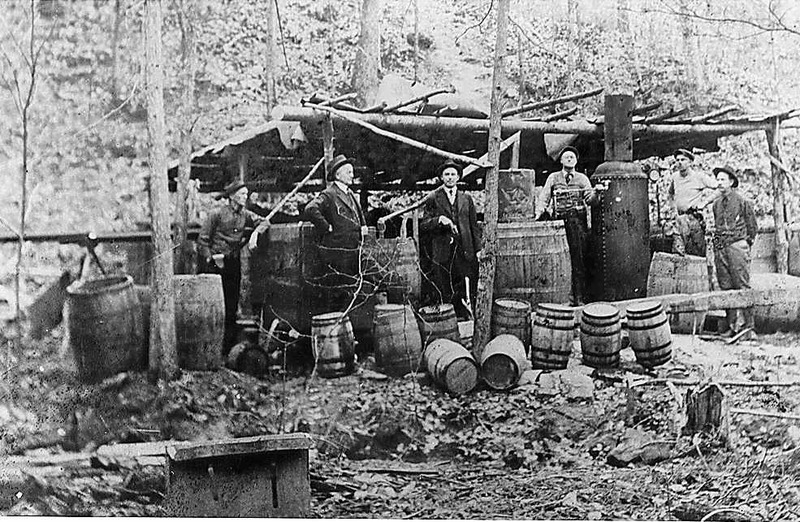 If you want to know more about moonshiners in the 20th century, check out Last Call: The Rise and Fall of Prohibition by Dan Okrent and Bruce Yandle’s “Bootleggers and Baptists” theory (wiki, pdf, podcast). In New Jersey, where a packet of cigarettes carries a tax of $2.70, about 40% of all cigarettes are smuggled in from other states, according to the New Jersey Treasury Department. Maryland, Virginia’s neighbour to the north, reported a fourfold increase in seizures of illegal cigarettes between 2010 and 2012, though one official described the haul as the tip of the iceberg. Anti-smoking activists love high cigarette taxes. But so do smugglers. 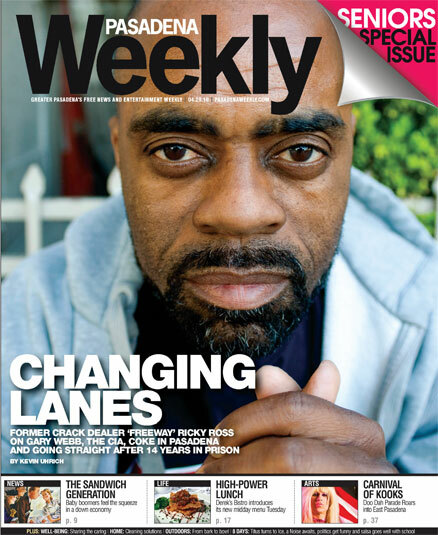 Planet Money interviews “Freeway” Rick Ross, a former high-level drug dealer in LA. This interview offers another perspective on the drug business from the one we saw on Monday. PM: How much of the cost of the drug that you were selling was because it was illegal? Ross: Probably… maybe 1000 times. You can probably get a kilo of cocaine in Peru for around $300…. The price probably would drop dramatically [if it were legalized]. This is probably an overestimate, but the “risk premium” for drugs is certainly real. PM: Not all of the money goes to crime and bribes and shady stuff…. There were other expenses. Like, a huge expense: bail bondsmen. Guys in his crew would get picked up by the cops, and he would need to make sure that they would stay loyal to him, so he would do whatever it took to get them out of jail. And of course the criminal justice system knew that he was a big time drug dealer, so they set these bond prices really high. And another group of people who were profiting off the big time drug dealer: lawyers…. They came into play when he would have these “interesting” disputes with the cops. Ross: They had raided a couple places and there were large amounts of money and no drugs. They would confiscate the money, and we would go to court, and the lawyers would get the money back. PM: And they couldn’t prove that it was drug money so you got it back? Ross: Absolutely. And they [police] got frustrated with that, so they started… bringing their own drugs and they would plant drugs. And that makes it tougher to come to court and say, “Your honor, there was $400,000 in there and now it’s missing.” Because know it was two keys [kilograms] in there too. Jeff Winkler interviews a small-time dealer for his perspective. That’s the Ten Crack Commandments, by Notorious BIG — “Don’t get high on your own supply.” That’s rule number … well, I can’t remember if that’s actually rule number one. But it should be number one. Micah Zenko at the Council on Foreign Relations rounds up answers from Daniel Byman (sometimes), Joshua Foust (maybe), Sarah Holewinski (probably not), Patrick Johnston (yes, if targeted selectively), and Pir Zubair Shah (probably, at least in Pakistan). I have explored this question myself, as it pertained to Osama bin Laden (both before and after his death) and the removal of cartel leaders in Mexico. The latter question–whether leadership removals in Mexican drug-trafficking organizations leads to more or less violence–is the topic of one of my current working papers (somewhat outdated draft).